(Boone, NC) – Appalachian Mountain Brewery (AMB) is now making three of its Great American Beer Festival (GABF) award-winning beers available to more fans in more package sizes across the South Atlantic. 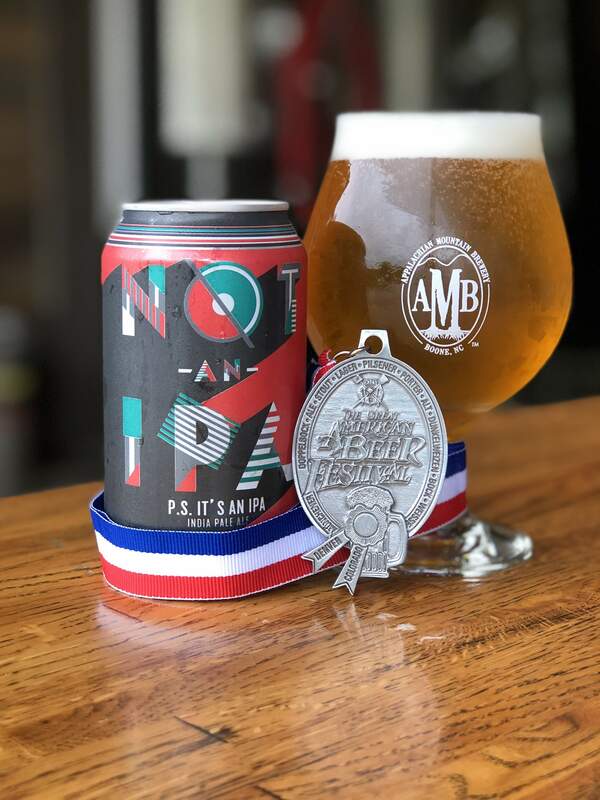 Over the past two years, the Boone, N. C.-based AMB has racked up multiple awards, including two gold medals and one silver medal from the GABF competition, for its Not an IPA (P.S. It’s an IPA), Lager, and Boone Creek Blonde. 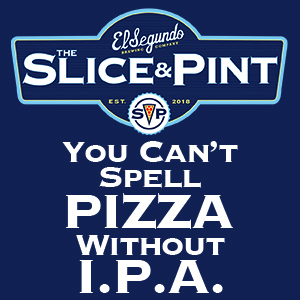 The brewery’s Not an IPA (P.S. It’s an IPA) won a silver medal at last year’s GABF competition in the hotly contested American-Style India Pale Ale category. The IPA category has one of the highest numbers of beer entries every year, with 311 entries in 2018. The stellar, fruit-forward Not an IPA gained a dedicated following as a taproom-only draft beer in 2017 and is now available in 6-packs of 12-ounce cans and on draft across North Carolina, South Carolina, and Tennessee. Boone Creek Blonde, a crisp blonde ale made with honey and orange zest that has been part of AMB’s core beer lineup since 2013, won a gold medal at the 2017 GABF Awards in the Golden or Blonde Ale category. 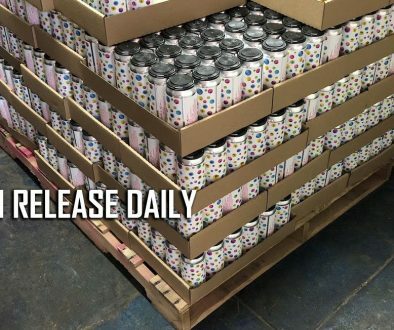 AMB expanded their core beers into South Carolina and Tennessee last spring with draft and six packs of 12-ounce cans, and this year fans can find Boone Creek Blonde in 12 packs of 12-ounce cans, as well. Boone Creek Blonde also won a gold medal at the U.S. Open Beer Championship in 2015. AMB’s bright and refreshing Lager won a gold medal at last year’s GABF in the American-Style Lager or American-Style Malt Liquor category. The easy-drinking 4.2% ABV Lager is packaged for the first time in 12 packs of 12-ounce cans, available now at the AMB taproom with a wider rollout planned for later in the year. The Great American Beer Festival takes place annually in Denver, Colo. 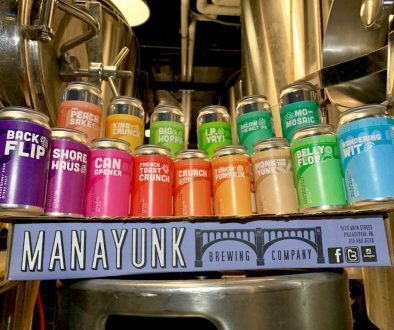 In addition to being one of the world’s largest public-facing beer festivals, the event also hosts one of the most-coveted beer competitions in the world. Brewers from all over the country enter their best beers, which are then blind taste tested by a panel of industry professionals. The beers are judged based on each beer’s adherence to the category style – with gold medal winners being considered world-class beers in their category. All three of AMB’s GABF medal winners are currently on tap, along with the brewery’s wide array of great beer and cider, at its destination brewpub in Boone, N.C.
Nestled in the High Country of North Carolina, Appalachian Mountain Brewery is dedicated to making seriously delicious craft beer, while focusing its business model on community, sustainability, and philanthropy. The brewery is deeply rooted in the Boone community and supports dozens of local non-profits each year through the We Can So You Can Foundation and its Pints for Non-Profits program at the taproom. Appalachian Mountain Brewery has earned numerous awards for its innovative craft beers and ciders, including its year-round Lager and Not an IPA (P.S. It’s an IPA), which won gold and silver, respectively, at the 2018 Great American Beer Festival, and Boone Creek Blonde Ale, which earned gold at the 2017 Great American Beer Festival. AMB’s core portfolio also includes Long Leaf IPA, Spoaty Oaty Pale Ale, and Porter, a gold medal winner at the Great International Beer and Cider Competition. For more information on Appalachian Mountain Brewery, please visit amb.beer or see what the brewery is up to on Facebook and Instagram.